Over the past few weeks, The Daily Californian’s editorial board has met with nearly all of the ASUC executives and senators to discuss the progress they’ve made on their platforms in the first semester of their terms. Some officials have made substantial progress on their term goals, while others are struggling to lay the basic foundations for the projects they ran on. With their first semester behind them, it’s critical that senators hold themselves accountable to the promises they made during their campaigns. In the interest of transparency and open dialogue, the Daily Cal editorial board has compiled this progress report for the campus community. During the course of this process, the Daily Cal editorial board interviewed each executive official, and board members interviewed every senator except Senator Isabella Chow, who declined to meet with the board. 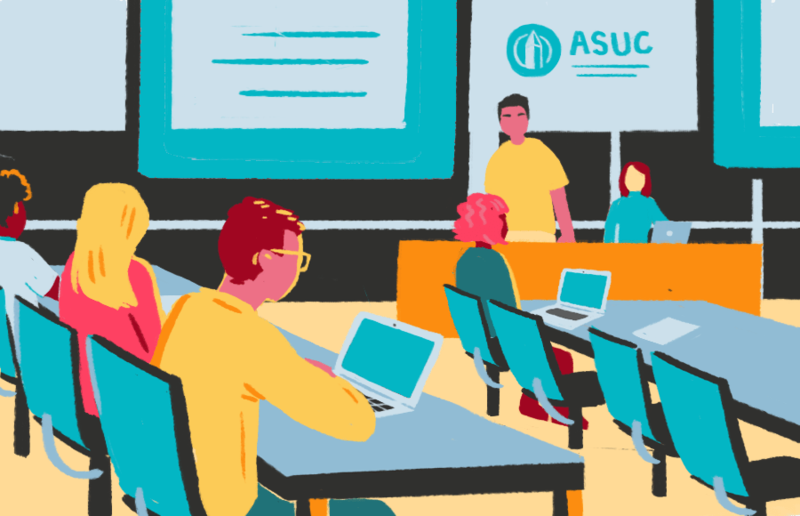 In the first half of his yearlong term, ASUC President Alexander Wilfert has spent much of his time meeting with the campus community to strengthen his understanding of the student body’s needs. And while this is a critical start, Wilfert must apply this knowledge to his role and make more substantial headway on his platforms next semester. Wilfert has worked to bring student voices to the table in conversations with campus administrators. In the days leading up to Thanksgiving break, when the air quality in Berkeley was poor, Wilfert repeatedly pushed campus administration to consider canceling classes. In an interview with the Daily Cal editorial board, Wilfert said he hopes to institutionalize a process through which the campus will consult students more directly regarding these situations in the future. Wilfert also ran on platforms of increasing accountability for sexual violence and sexual harassment, or SVSH, on campus. Still, the ASUC continues to offer funding through the Greek Opportunity Fund without strictly holding fraternities accountable for SVSH violations. Wilfert must push for more tangible consequences with regard to funding in these cases. He did, however, emphasize an impressive desire to halt ASUC funding for organizations that don’t represent the values of the ASUC as a whole, such as Unity in Christ — a student group that Senator Isabella Chow, who expressed anti-LGBTQ+ views this semester, has reported receiving support from. It’s clear that Wilfert is striving to stick to his campaign platforms during his term. The Daily Cal editorial board just hopes that in the coming months, Wilfert will turn his verbal support for certain communities into palpable action. Hung Huynh has undoubtedly made a lot of progress on his goals in his time as executive vice president — he is working to increase food security among students and develop more spaces for Registered Student Organizations, or RSOs, on campus. But Huynh must push forward on his platforms to represent marginalized communities, such as undocumented and low-income students. After spending a significant portion of his semester communicating with RSOs regarding their needs on campus, Huynh secured a $74,000 renovation of Eshleman Hall. This created a larger conference room space and increased the area’s accessibility to student groups. Huynh has also made progress on his student voucher program plans. He has secured partnerships with Trader Joe’s and Safeway and is the sponsor of a wellness fund to initiate the program. But this is a program Huynh began as a senator, and it’s unclear if this program truly falls under the purview of his new position. During his interview with the Daily Cal editorial board, Huynh said he has not personally been in contact with the Disabled Students’ Program. Considering that he ran on a platform to represent marginalized communities, he should do more to support this critical program, which has long pushed for increased space on campus. Huynh has admirable goals and has made notable progress on them, but he must take more initiative in making good on the promises he ran on. External Affairs Vice President Nuha Khalfay has spent the first half of her term demonstrating just how much her office is capable of. Khalfay ran on a platform of making the 2018 midterm election more accessible to UC Berkeley students. She spent the months leading up to the election working hard to increase voter registration among the student body — her office even installed a mail-in ballot drop box that served Alameda County voters right outside of Sproul Hall. Khalfay also organized a number of events this semester centered on increasing voter turnout, including a concert called “Voteside Lands.” Khalfay’s commitment to increasing voter turnout drew large crowds of students to events celebrating civic engagement — a highly admirable achievement. And Khalfay has no plans to stop with this election season — she said during an interview with the Daily Cal editorial board that she hopes to make future Election Days noninstructional days. It’s clear that promoting civic engagement among the student body is high on Khalfay’s list of priorities. In October, Khalfay traveled to Washington, D.C., to lobby against U.S. Secretary of Education Betsy DeVos’ appalling rollbacks on Title IX policies. And as state funding of the UC system becomes a central issue next semester, Khalfay also expressed her preparedness to lobby on this front. Khalfay went above and beyond this fall to fulfill promises she made during her campaign. The Daily Cal editorial board is certain she will continue on this impressive path for the second half of her term. While Melany Amarikwa has brought unique ideas to the office of the Academic Affairs Vice President, she needs to expedite her efforts if she hopes to meet her goals during her time in the role. Some of Amarikwa’s efforts will come into effect early next semester, such as her laptop expansion program for Moffitt Library. This program will work to provide longer-term laptop rentals for students who need them. Amarikwa said during her interview with the Daily Cal editorial board that she eventually hopes to implement a universal laptop system, through which every student is provided a laptop — a lofty endeavor that is still in the planning stages. Amarikwa also ran on a platform of increasing funding for the Recreational Sports Facility. But Amarikwa herself admitted during her interview that she “hasn’t done enough” on this front. During her campaign, Amarikwa said she wanted to create physical wellness spaces in Moffitt Library, such as soulcycle desks. It’s unclear how productive this idea actually is, but it is evident that Amarikwa has done little to make it a reality. In her interview, Amarikwa said she is hoping to implement a cap on the amount professors can require students to spend on course materials, but she has yet to push this legislation through the Academic Senate. Though Amarikwa has vocalized important and influential ideas to improve the student experience, she needs to act on these ideas quickly and efficiently. During her campaign, Sophie Bandarkar ran on platforms of obtaining basic needs security for students, promoting equity in students’ academic experiences and addressing sexual violence and harassment on campus. She set lofty goals for herself but has been steadily working to meet them throughout her time in office. 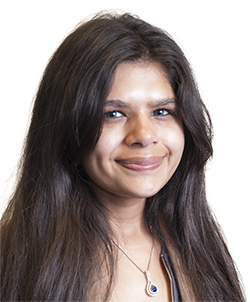 Bandarkar said during her interview with the Daily Cal editorial board that she hopes to develop a streamlined process for students who encounter homelessness in order to ensure that students in these circumstances aren’t redirected from office to office in their search for support. Her office has had weekly meetings with individuals from the Division of Student Affairs and UC Berkeley’s Basic Needs Security, as well as other offices to outline a protocol to help meet the needs of homeless students. After working extensively with PATH to Care, as well as the campus’s Coordinated Community Review Team, Bandarkar has solidified her position as a strong advocate for student survivors. She has applied for continued funding for a survivor medical program, which would waive all medical or psychological costs for students that have experienced sexual harm. Bandarkar is also the only UC Berkeley undergraduate representative on the UC-wide Title IX Student Advisory Board, and she has fought to ensure the university’s commitment to strong and survivor-centered Title IX policy. Bandarkar has made definitive progress this semester and has also laid the foundation to continue making strides in the spring. Her impressive progress addressing basic needs was even featured in Teen Vogue. She has clearly demonstrated her commitment to showing up for the rights and needs of the student body. Last spring, Aaron Bryce Lee ran on platforms to build alliances among various Asian campus organizations and improve financial accountability between the campus and the ASUC. While his community development accomplishments are impressive, Lee needs to take the lead on more of his goals. In an interview with members of The Daily Californian’s editorial board, Lee highlighted his efforts to unite the Asian community. Lee emphasized that he and Senator James Li were able to bring representatives from Asian organizations into one room for monthly meetings to increase collaboration. Lee has also accomplished concrete goals on his financial platforms. Along with President Alexander Wilfert, Lee worked to create a senate bill on campaign finance reform, ensuring that every student has an equal playing field in ASUC elections. But Lee picked up most of his major projects from other ASUC officials. While collaboration is critical, the Daily Cal editorial board hopes to see Lee spearhead more projects next semester. Last spring, Amir Wright secured third place in the Daily Cal editorial board’s endorsements for the 2018-19 ASUC Senate because of his noble platform to improve UCPD’s relationship with the campus community. Although this is a very ambitious goal, Wright has already made significant progress. Wright has had conversations with several UCPD administrators and reviewed UCPD’s use of force policies. He cited the town hall event he organized on policing as one of his proudest accomplishments this semester — it drew a large crowd of students and featured several speakers in the criminal justice system. Clearly, he’s initiated the necessary conversations to improve UCPD oversight. This semester, Wright even took on a new endeavor: addressing the campus’s systemic diversity problems. He’s pressured administrators to increase funding to recruitment and retention centers so students have enough support and resources to improve diversity outreach themselves. Wright has not only seen his original platforms through this semester, but has taken the lead on this additional important challenge. Amma Sarkodee-Adoo ran on multiple platforms of making Greek life more accessible. In the Daily Cal editorial board’s endorsement of Sarkodee-Adoo during the 2018 ASUC election, the board noted that her goal to waive fees for low-income students interested in rushing Greek organizations appeared out of reach for an ASUC senator. Fortunately, Sarkodee-Adoo proved the board wrong — she established a fee waiver in time for the UC Berkeley Panhellenic Council’s, or PHC’s, fall recruitment. Sarkodee-Adoo has shown this semester that she remains committed to improving diversity in the Greek community. In an interview with members of the Daily Cal editorial board, Sarkodee-Adoo said her office is planning trainings on race, sexuality and gender for community development officers in the PHC and the campus Interfraternity Council, or IFC, as well as financial accessibility trainings for the vice presidents of finance in each chapter. While the Daily Cal editorial board doesn’t yet know how effective these workshops will be in resolving systemic diversity problems in the Greek community, the board respects Sarkodee-Adoo’s commitment to this direction. Andy Theocharous has made significant strides as an ASUC senator in representing the international student community, meeting many of the goals he set for himself during his campaign. Theocharous fought to decrease the monetary burden placed on international students by effectively pushing administrators to eliminate unnecessary fees. He has also focused on making campus resources more accessible. He worked on a proposal to employ two students in the campus’s scholarship office who will assist in outreach to students. One of Theocharous’s platforms was to create a military affairs minor for students in the Reserve Officers’ Training Corps, or ROTC. The minor would ensure that ROTC students receive academic accreditation for extra classes they take with the program. Theocharous co-sponsored an ASUC resolution in support of the minor this semester. In all, Theocharous has demonstrated his ability to enact effective and important change and continues to introduce strong proposals. During her campaign, Anna Whitney ran on environmentally conscious platforms. Her goals included introducing a bike-share system on campus and holding workshops on environmental issues to increase student awareness. While some of her goals have evolved, Whitney showed a clear understanding of how to accomplish them in her interview with members of the Daily Cal editorial board. Whitney admitted that after starting work on her original plan to introduce a bike-share system, she realized it wasn’t realistic because many students wouldn’t or can’t use bikes. But instead of stopping there, she shifted her focus to electric scooters, which are more accessible. This semester, Whitney has also held several workshops to educate students on environmental racism. While Whitney admitted the turnout for these meetings hasn’t been outstanding, she emphasized her desire to continue promoting them next semester. Whitney has demonstrated her commitment to her goals and her willingness to work through them, even if they don’t go as smoothly as planned. During her campaign for the ASUC Senate this year, Anne Zepecki ran as a voice for the STEM community. She promised a diversity coalition for engineering students as well as academic and professional resources. But while Zepecki has recognized a need to uplift underrepresented students in STEM fields at UC Berkeley, she has ultimately struggled to take her idea of a diversity coalition past the phase of initial conversations. Despite roadblocks, Zepecki has made progress in her goal of centralizing academic resources for engineers. She’s worked with Berkeleytime to put class syllabuses on the website while also encouraging more professors to publish past semesters’ exams online for students to access and practice with. 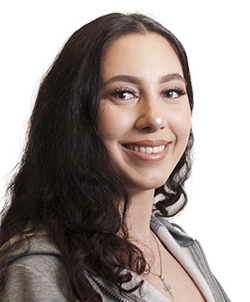 In her first semester as an ASUC senator, Zepecki has made progress in understanding the scope of her endeavors. Next semester, she must move beyond understanding and into action. Idalys Pérez ran on three platforms: reforming financial aid, making UC Berkeley a sanctuary campus and preventing sexual violence and sexual harassment, or SVSH. Although she hasn’t made substantial progress on all of them, she’s built a strong foundation for improving financial aid resources. This semester, she co-hosted a workshop with UC Berkeley Basic Needs Security and the campus’s financial aid office about navigating applications for the Free Application for Federal Student Aid, or FAFSA, and the California DREAM Act. She also met with UC Berkeley’s financial aid director to discuss the accuracy and accessibility of financial aid for students. Her work on SVSH, however, has been largely community-based rather than policy-oriented — she helped the Office of the External Affairs Vice President plan a healing circle and SVSH education workshop. 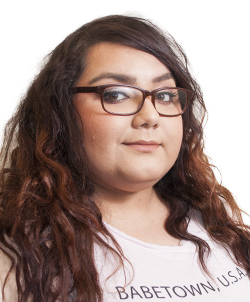 While only time will tell if Pérez will complete her pending projects, her start this semester makes the Daily Cal editorial board hopeful that she will follow through on all her goals. In April, Imran Khan earned a place on the Daily Cal editorial board’s ASUC Senate endorsements because of his dedication to UC Berkeley’s Middle Eastern Muslim Sikh and South Asian, or MEMSSA, community and to mental wellness on campus. Khan came into this position with goals to create a Middle Eastern and South Asian community theme program in the residence halls and to build an online application that would connect students with mental health resources. Although he met with campus leaders to establish themed housing, Khan’s efforts failed because of an insufficient budget. He was also unable to develop the necessary infrastructure to launch a website that would guide students through the campus’s mental health resources. Despite these setbacks, Khan has demonstrated that he is dedicated to improving students’ access to wellness. He held numerous roundtables and town hall meetings to better understand the needs of the MEMSSA community. And Khan seems determined to push forward on his original campaign promises in the coming semester. In a semester overshadowed by controversy surrounding her anti-LGBTQ+ views, Isabella Chow’s tenure as a senator has been marked by mostly talk and little action. While Chow declined to meet with members of the Daily Cal editorial board, the board reviewed her progress report and other initiatives she undertook this semester. Chow’s main accomplishments have been geared toward the campus’s Christian community. She reported record turnouts for Jesus in Berkeley 2018 and weekly interfellowship prayer meetings this year. But on her platforms to uplift the campus publication and media communities, Chow has not followed through. Her proposal for an academic-year journalism major, minor or focus remains in the planning stages, and her proposed film minor was deemed infeasible before the second week of instruction. Chow’s proposed BearCrawl club recruitment portal has seen the most success, but it’s unclear if it will be finished by the spring. Given the events of this fall, Chow should focus on actionable goals, not hateful rhetoric, in the spring. But the best step forward might be a step down. As a senator dedicated to representing the international student community on campus, James Li has effectively utilized the first part of his term to organize a number of initiatives and events highlighting the needs of international students. His office has seen several admirable endeavors through, including negotiating the removal of the international student services fee with the Berkeley International Office and ensuring the allocation of an additional $125,000 to emergency international student financial aid and merit-based scholarships. While Li has yet to make progress on a number of his other platforms — such as his goals to improve access to study spaces — he noted that his office is in the process of working with ASUC officials and student organizations to ensure that these projects are completed. His proposal to create a library heat map that gives students real-time updates about available study spaces is unique and beneficial, and Li must make sure to effectively address this initiative and others in his next semester. Justin Greenwald made good on his promise to improve relationships between the Jewish community and the greater UC Berkeley population. Greenwald’s office hosted ASUC Shabbat to introduce ASUC senators and executives to Jewish customs and will launch the Jewish Newspaper of California on campus next semester. After anti-Semitic flyers were found on campus, Greenwald’s office was instrumental in advocating for a statement of support from Chancellor Carol Christ. But Greenwald has not lived up to his sustainability-related campaign promises or his platform to re-examine the effectiveness of the hard alcohol ban at UC Berkeley fraternities. Greenwald’s office drafted a Green Initiative Fund proposal this semester to purchase compost bins for fraternities, in order to inspire partygoers to properly dispose of compostable cups. While this idea has promise, its implementation seems unrealistic. Going forward, Greenwald should focus his efforts on eliminating physical flyering during the 2019 ASUC elections and ensuring that hard alcohol at fraternities can be safely distributed. To Karina Sun’s credit, her office has made advancements in improving the dance and greater arts communities’ access to performance space at UC Berkeley. With a focus on community Registered Student Organizations, Sun’s office has hosted a number of events and workshops to feature student dancers from a variety of genres. Her office has also forged tighter student relations with Cal Performances, meeting regularly with Cal Performances and the LEAD Center to construct a more comprehensive and transparent booking process. Still, Sun and her office have fallen short in addressing her important campaign promise to make the Night Safety Shuttle more accessible to students. Citing limited funding and an initial lack of foresight, Sun noted that the idea of reforming transportation safety was too ambitious for her office to address during the semester. While Sun’s efforts to make space reservation more accessible to student organizations are admirable, she must proceed into her second semester with clear priorities and a recognition of the weight of the issues she planned on addressing during her campaign. Nick Araujo campaigned as an independent with the intent to bolster the Latinx community on campus and has done exactly that since he entered office. Araujo’s office developed a career fair specifically for students of color, which featured free professional headshots, resume review and recruiters of color from various companies. Araujo also worked on passing Senate Resolution 31, an initiative to make the Removing Impediments to Students’ Education, or RISE, scholarship application more accessible. The scholarship typically receives five to seven applications per cycle. This year, the applicant pool was nearly 10 times larger, comprising 45 individuals. A key part of Araujo’s platform was police reform, on which he is moving full speed ahead. He introduced Senate Resolution 36, which demanded the creation of a new independent review board for UCPD that includes three student members. As the spring semester approaches, the Daily Cal editorial board is hopeful that Araujo will continue working with UCPD and UC Berkeley officials to make this board a reality. Nikhil Harish has zeroed in on student mental health as an area of focus this semester, pursuing projects such as developing a peer counseling program and expanding mental health training and resources in new student orientations. Improving mental health on campus was one of the platforms Harish ran on. But most of the concrete work he has done on this front seems administrative, such as including counseling centers on the Berkeley Mobile app and producing a comprehensive list of South Asian mental health services in the Bay Area. The Daily Cal editorial board hopes Harish progresses further on his more lofty goals next semester. Harish also worked on a proposal for a premedical minor, which he has addressed in meetings with relevant administrators. Looking forward — and considering how ambitious his long-term goals are — Harish will have to work hard to see his projects through. Regina Kim ran on one platform — basic needs security — during her 2018 ASUC Senate campaign, and she has essentially stuck to this goal in her first semester in office. Her success, however, has so far been limited. Kim’s main project has been to increase housing and food security among UC Berkeley students and to implement crisis management with regard to these issues as needed. But this semester, her endeavors have been largely research-focused, rather than actionable. One promising aspect of Kim’s work so far is her attempt to make her projects inclusive and accessible. In an interview with Daily Cal editorial board members, Kim said she worked closely with the campus’s Graduate Assembly in identifying basic needs-related solutions. Kim’s office will also be releasing a database of housing resources in January 2019. The shortage of basic needs resources at UC Berkeley requires immediate and concrete action. Next semester, Kim must make tangible progress on her platform in order to demonstrate her commitment to this important issue. In the Daily Cal editorial board’s 2018 ASUC Senate endorsements, Saakshi Goel took the No. 1 spot because of her clear understanding of what it would take to achieve her platforms. Eight months later, Goel has clearly delivered. 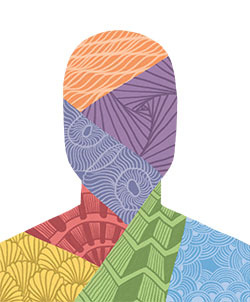 For her plan to increase PATH to Care’s accessibility to UC Berkeley students, she has established relationships with the center’s directors and applied for an $80,000 Wellness Fund grant — funding that, if secured, would go toward increasing the center’s visibility and expanding the center’s personnel to provide more culturally competent services. Goel also overcame bureaucratic hurdles in her endeavors to revitalize Lower Sproul. She and her staff did extensive research on the implementation of a farmer’s market. Thanks to Goel’s efforts, the first market on Lower Sproul is scheduled for February 2019. Goel has repeatedly shown that she is not afraid to made herself heard — and it’s clear that she will not be backing down in seeing the remainder of her plans through. Last spring, Stephen Boyle campaigned for the ASUC Senate in a squirrel costume. He was elected, although transfer students received no representation — something that Boyle expressed remorse about in an interview with members of the Daily Cal editorial board. But after a semester in his position, Boyle has done little to justify his place in the senate. In his interview, Boyle said most of the strides he has made as a senator have been in uplifting the “meme community.” He added that he’s in the process of implementing a “de-stress station” in Moffitt Library for Reading, Review and Recitation Week that includes bubble wrap and autonomous sensory meridian response booths. As RRR Week continues, the attainability of this plan remains questionable. Boyle did encourage student voter turnout in the 2018 midterm elections on the UC Berkeley Memes for Edgy Teens Facebook page. But while it’s clear that Boyle’s heart is in the right place, he must do more to show students that he deserves this position. Teddy Lake started the fall 2018 semester with two major goals: supporting the LGBTQ+ community and increasing transparency and accountability in the campus administration and the ASUC. And while these goals seem lofty, she’s made solid progress. Aside from hosting a variety of community-engagement events and producing the Queer/Trans Student Needs Survey, Lake also launched GIA MAG, an online magazine geared toward LGBTQ+ people of color. She also spearheaded the initiative to overhaul the ASUC’s Advocacy Agenda, a document that lays out the goals of each senate class. Lake, however, failed to make concrete strides in supporting survivors of SVSH. Her office has focused mainly on research, rather than actionable changes to improve campus culture. With ideas as noble yet difficult to attain as these, the Daily Cal editorial board hopes to see only more tangible results from Lake’s work going forward. William Wang ran for the ASUC Senate to advocate for UC Berkeley’s entrepreneurship and technology communities, and to bolster emergency preparedness among the student body. In an interview with members of the Daily Cal editorial board, Wang vocalized his dedication to these goals. But the progress he has made on these goals is not as evident. Wang’s biggest achievement so far is creating the Berkeley Student Entrepreneurship Council, which will govern the student entrepreneurship community on campus. Three members of this council will even be voting members in the UC Berkeley committee that determines funding for entrepreneurial spaces and resources, according to Wang. But Wang’s platforms to set up tech and entrepreneurship certificates through UC Berkeley’s DeCal program and to prepare students in the event of a major disaster fell short. Wang emphasized in his interview that he is committed to implementing evolved versions of these platforms next semester, and the Daily Cal editorial board is hopeful that he will do so. Zach Carter ran for ASUC Senate to support the UC Berkeley Disabled Students’ Program, or DSP, the Greek community and survivors on campus, and he has reaffirmed his commitment to these individuals throughout this semester. One of Carter’s biggest successes thus far was integrating DSP resources into CalCentral, a major part of his campaign platform that Carter took on in July. Carter has also fulfilled his promise to reform sexual violence policy. His office collaborated with PATH to Care and Greeks Against Sexual Assault to hold a consent roundtable, and Carter said in an interview with members of the Daily Cal editorial board that he is also working to implement an education program about consent and alcohol consumption for the IFC. Overall, Carter has focused on actionable goals that will outlast his time as a student. Discussing disability and survivorship requires a great deal of emotional labor, and the Daily Cal editorial board commends Carter for showing up for the communities he promised to represent. 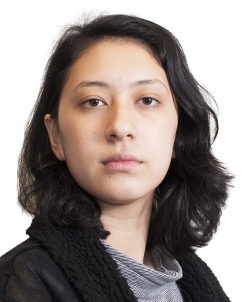 Editorial board member Sakura Cannestra recused herself from the discussion of these editorials because of her position as lead student government reporter for the Daily Cal’s news department. Editorial board member Caroline Smith recused herself from the discussion of the editorials for Student Advocate Sophie Bandarkar and Senator Teddy Lake because of her social relationships with them.